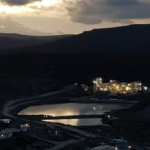 Western Australia-based Lucapa Diamond Company has launched commercial production at the Mothae kimberlite mine in Lesotho, southern Africa. 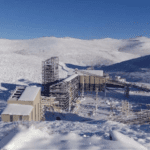 The first commercial recoveries from the Mothae kimberlite pipe produced 3089 carats of diamonds from 78,426 tonnes of ore, including six specials of up to 78 carats, according to the company’s latest quarterly statement. These results translated to 3.94 carats per 100 tonnes, more than doubling Lucapa’s estimated resource grade of 1.92 carats per 100 tonnes. 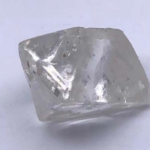 Mothae is Lucapa’s second high-value African diamond operation following the Lulo diamond project in Angola. Lulo has been in production since January 2015 and holds the highest global US dollar carat price among alluvial diamond mines. Production at Lulo was 1 per cent down on the previous quarter to 5070 carats but up 3 per cent annually to 19,196 carats. The mine produced 50 special diamonds in the quarter, including three diamonds between 50–75 carats. The 78ct white diamond from Mothae. Image: Lucapa. Lucapa expects to start drilling at a third African operation, Orapa Area F in Botswana, in 2019, having received a two-year licence extension in the quarter. The Mothae project is a partnership between majority owner Lucapa (70 per cent) and the Kingdom of Lesotho (30 per cent). 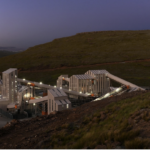 Mothae’s treatment plant, which is capable of processing 1.1 million tonnes of ore a year and includes two XRT diamond recovery circuits, was commissioned in December. The plant is expected to hit its nameplate capacity of 90,000 tonnes per month within the first quarter of 2019. 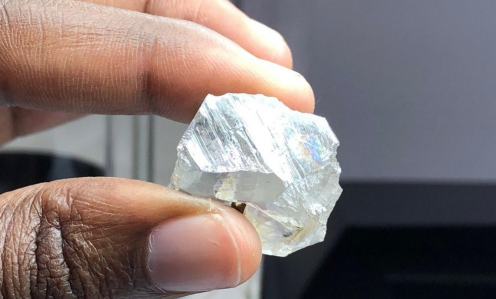 Lucapa is offering several diamonds from Lulo in a competitive bid in Angola that is scheduled to close on January 31, becoming the first company to sell diamonds in the country following the introduction of new policies by President Joao Lourenco in August 2018.